Garages typically end up being that one place in the house where things go in, but never come out. But not today! It’s finally time to take inventory. Pull out everything—from those rusty garden sheers to that pile of mystery electrical wires. From there you can make piles: yard sale, Goodwill, garbage, and storage. This is a time to be honest with yourself, if you haven’t used it in the last 3 years chances are you won’t in the next 3 either. With the garage clear you can better visualize where exactly things can go. In order for this to be successful, you should first determine what you want to use the space for. Parking is normally high on the list, but what else? Storage for files, tools, holiday decorations? What about that workout space you’ve always wanted? (See Alternative Uses for Your Garage) Based on these categories you can then separate your garage into different zones. This is helpful because if everything has a designated spot then you can better limit the volume. That is to say, if it doesn’t fit, it doesn’t stay. 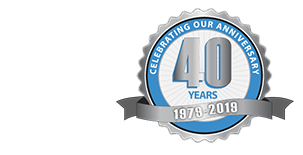 Once your garage has been appropriately zoned, its time to rethink the storage. It is recommended that all storage remain off the garage floor—this allows for easy sweeping and prevents the slow creep of access junk across the floor space. One option for vertical storage is to use a sheet of particleboard or medium-density fiberboard secured to the walls and rafters. This creates a useful loft for deep storage. As a rule of thumb: the less often a category of stuff is used, the higher up it should go. Frequently used items, like tools, can be attached to pegboard or hung from hooks. Also, convert all those old cardboard boxes (common nesting grounds for rodents) into plastic. Then use a marker to illustrate the contents that are not immediately apparent. Those days of great sunshine and warmth are approaching! Don’t be stuck in the dark and clutter lurking in your garage. Clean things up today—so when spring finally arrives you have the time and space to kick back and relax! 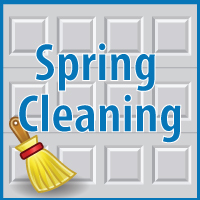 Can you share any spring cleaning tips for the garage? Please let us know in the comment box below!